November 22, 2016. 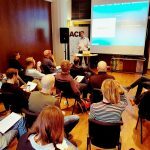 I'm just back from Dublin where I ran my 3-day Advanced Development Workshop, for an audience of development executives, story editors and producers selected by Screen Training Ireland. Some of the participants were following the Development Toolkit Programme, an eight-month course offered by STI. It all went very well and we might be running another one in the new year, for screenwriters this time. Many thanks to Grainne Bennett and Derbhla Regan for their invitation - and of course to all the participants for a warm welcome and many stimulating questions. 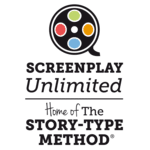 This workshop in Dublin marks the end of my 2016 mini European Tour to introduce the Story-Type Method following the publication of Screenwriting Unchained, after iFeatures in the UK, FilmLab Norway in Oslo and ACE in Paris.